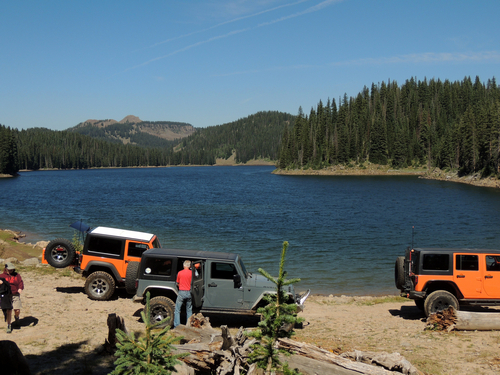 Leon Lake Jeep trail goes between Cedaredge and Vega Reservoir. 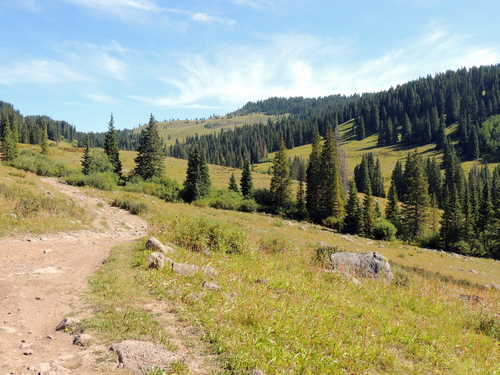 A scenic trip, although a bit rocky and bumpy through the center portion. 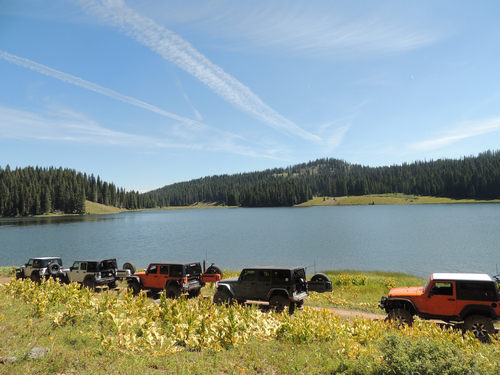 Leon Lake is a beautiful lake at a little over 10,000' elevation. We did this tail in August without any mud problems, but I would not suggest it if the ground is wet. A few mud holes could be questionable. The entire trip from Highway 65 on the south to Road 330 on the north is 30 miles. It took us 5-6 hours, including a few geocaches, airing down/up, lunch and a flat tire. 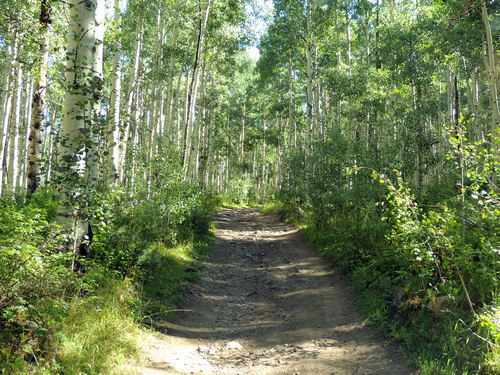 Both ends of the trail have large stands of aspen, while the center has extensive areas with open parks and nice views. 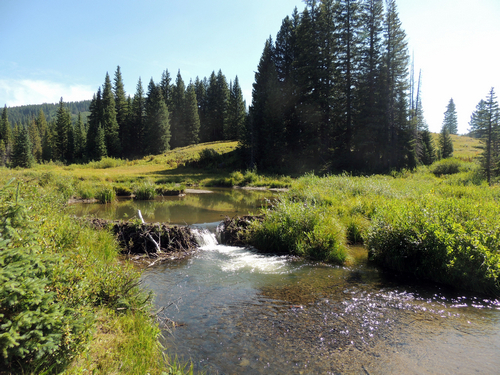 One of the beaver dams along Marcott Creek, on the southern half of the trail. Colby Horse Park Reservoir is a short distance north of Leon Lake.